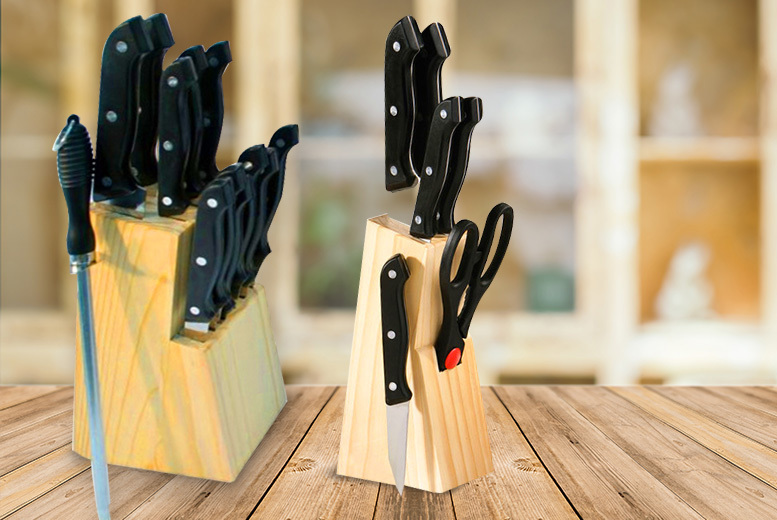 Get a seven-piece kitchen knife set. Or upgrade to get a 13-piece set, including six steak knives! All blades are made from stainless steel. Includes a wooden block. An essential set of kitchen tools. Dishwasher safe.